Asiad Steels is one of the popular suppliers and manufacturer of Titanium Gr.5 Fasteners. Known as the “workhorse” of the titanium alloys, Ti 6Al-4V, or Grade 5 titanium, is the most commonly used of all titanium alloys. Grade 5 Titanium Fasteners is the most commonly used Titanium worldwide and is the most commonly used alloy in the oilfield. This alpha-beta alloy is the workhorse alloy of the titanium industry. Annealing Temperature is 700-785 Degree C. It accounts for 50 percent of total titanium usage the world over. 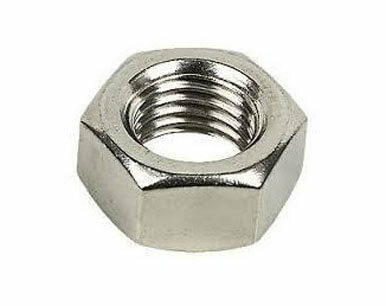 We also offer the same in different types such as Titanium Gr.5 Nuts, Titanium Gr.5 Bolts, Titanium Gr.5 Washers, and Titanium Gr.5 Stud Bolt. Gr. 5 Titanium Fasteners has good tensile properties at ambient temperature and a useful creep resistance up to 300 Degree C (570 Degree F). Ti 6Al-4V and Ti 6Al-4V ELI are the most widely used titanium alloys and account for more than half of all the titanium sponge used worldwide. Asiad Steels standard offering is Ti-6Al-4V Fasteners, Grade 5 alloy manufactured in an ISO-13485 certified environment. Our material complies with the chemical and mechanical property requirements of the all specifications. All manufacturing is undertaken in an ISO 13485 environment. Titanium has high specific strength, low weight, and excellent corrosion resistance and is biocompatible. Ti -6Al-4V is heat treatable and has high strength and ductility along with good weldability and fabricability. 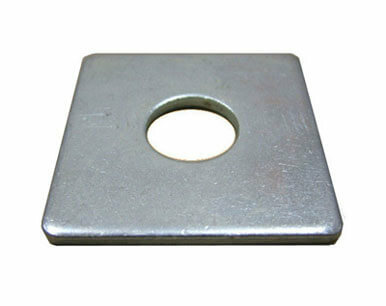 The alloy is fully heat-treatable in section sizes up to one inch, and is used up to approximately 400° C (750°F). 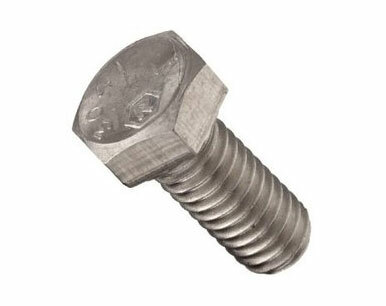 Buy Titanium Grade 5 Fasteners at reasonable rates from us. We are Exporter of Titanium Alloy Gr 5 Fasteners in Worldwide Such as India, Sri Lanka, Puerto Rico, Estonia, Zimbabwe, Serbia, Azerbaijan, Pakistan, Norway, United Kingdom, Poland, Chile, Macau, Bahrain, Iran, Switzerland, Gabon, Netherlands, Iraq, Russia, Croatia, Algeria, Malaysia, Venezuela, Kuwait, Lithuania, South Africa, Trinidad & Tobago,Tunisia, Italy, United Arab Emirates, Brazil, Belarus, Vietnam, Czech Republic, Belgium, Finland, Egypt, Israel, Bolivia, Nigeria, India, Mongolia, Bhutan, Nepal, Spain, Yemen, New Zealand, Ireland, Namibia, Jordan, Mexico, Thailand, Colombia, Nigeria, Singapore, Japan, Saudi Arabia, Sweden, Poland, Portugal, Tibet, Ghana, Turkey, Lebanon, South Korea, Bangladesh, Hong Kong, China, Costa Rica, Ecuador, Ukraine, Qatar, Austria, Libya, Philippines, Afghanistan, Germany, Chile, Argentina, Greece, Iran, Gambia, United States, Indonesia, Denmark, Canada, Hungary, Mexico, Taiwan, Oman, Bulgaria, Morocco, Australia, Romania, Kenya, Angola, Slovakia, Peru, France, Kazakhstan. We are Suppliers of Titanium Gr 5 Fasteners in India Such as Mumbai, Montreal, Granada, Chiyoda, Manama, Melbourne, Thiruvananthapuram, New York, Bengaluru, Jakarta, Hong Kong, Caracas, Dubai, Ankara, Muscat, Jeddah, Tehran, Kanpur, Atyrau, Calgary, Houston, Singapore, New Delhi, Rajkot, Mumbai, Jaipur, Santiago, Faridabad, Milan, La Victoria, Indore, Cairo, Dallas, Karachi, Dammam, Los Angeles, Bhopal, Edmonton, Hanoi, Gimhae-si, Ho Chi Minh City, Gurgaon, Lagos, Chennai, Busan, Bangkok, Colombo, Moscow, Lahore, Port-of-Spain, Sydney, Hyderabad, Visakhapatnam, Baroda, Toronto, Geoje-si, Thane, Al Jubail, Courbevoie, Kuwait City, Haryana, Algiers, Ahmedabad, Istanbul, Doha, Brisbane, Rio de Janeiro, Ulsan, Howrah, Nagpur, Vadodara, Mexico City, Petaling Jaya, London, Ludhiana, Pune, Bogota, Abu Dhabi, Ernakulam, Ahvaz, Nashik, Riyadh, Vung Tau, Madrid, Sharjah, Navi Mumbai, Perth, Aberdeen, Surat, Coimbatore, Jamshedpur, Chandigarh, Al Khobar, Ranchi, Secunderabad, Pimpri-Chinchwad, Kolkata, Seoul, Kuala Lumpur, Noida.